Two wineries have had the same idea, and have each filed trademarks. One is for Eden, and the other for Eden Winery. The Israel Trademark Office was not prepared to let two such similar marks coexist, and initiated a competing marks proceeding. One of the parties filed evidence without the help of legal counsel and then sought legal counsel. On advice of said counsel, they requested to correct their submitted evidence ahead of the hearing arguing that under Section 41 of the regulations, the Commissioner can authorize such amendments. The other party objects to this, and insinuates that it is destroying evidence, and that there is no procedure for ‘correcting’ an affidavit once it has been submitted. The applicant denies trying to hide anything and claims that the Patent Office has wide discretion regarding allowing such amendments. The first party responded and the second party requested that the first party’s response be struck from the record. The Deputy Commissioner Ms Jacqueline Bracha decided not to relate to all the responses and counter responses, but only to the issue of submitting further evidence and correcting the submission. She noted that the first request understood that it was permissible under Court Procedural Rules adopted by the Patent Office in the relevant Circular (013/2012 v. 1), and that neither side had asked or received permission for subsequent submissions. On the grounds that the procedure for competing marks is not set out in the regulations and that the hearing has not happened, the Deputy Commissioner Ms Jacqueline Bracha agreed with the request and allowed the submission. As to the charges of ‘correcting the affidavit’, Ms Bracha considers that the applicant wishes to exchange one set of evidence with another and not correct the affidavit, and considers this allowable, whether as submission of additional evidence or as correcting the statement of case. the Affidavit related to the key issues of when the mark was first used, extent of use and use in good faith. She was prepared to consider discrepancies between the first and second statements in her final ruling, but considered it appropriate to allow the exchange of evidence. The submission of the additional affidavit does not turn the clock back and result in a lost of opportunity to the competing party who can cross-examine on the apparent discrepancies if he so wishes. The competing party can relate to the evidence in the second affidavit in writing up until two days before the hearing. Noting that such procedural irregularities cause additional work, she ruled costs in favour of the competing party, but due to the competing party submitting three rounds of procedural complaints she limited the interim costs to a mere 500 Shekels. I am not sure that wine is associated with Eden. Wine and its afflictions were first discussed after the Flood. That as may be, there is no place in Israel that is called Eden. We to have an Arab village called Faredis which became corrupted as Paradise, and there is a Gei Ben Hinom, the Hinom Valley below the Old City of Jerusalem whose name as Gehenna become associated with hell. 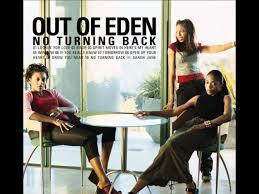 The name Eden is used for by a natural food supermarket, by L’Oreal and others. Apart from bottled water marketed under Waters of Eden, the mark is already registered by Absolut Vodka in class 33, which is the same class as wine.